Smokamrok had the most liked content! Nah it's not a wheel option. Unfortunately they don't have anything like "allow special AI attacks". Hi I have tamed 2 Electrophori (Electrophorusses?) and got with them into the water and ordered them to "attack this target", yet they didn't use their shock ability once, they only used their weak teeth. Am I doing something wrong? What is necessary so they start some voltage? 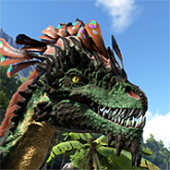 Is there some form of Mod manager/organizer for Ark? Something that works similarly to Nexus mod manager which was mainly used for Skyrim and Fallout? Or can you only use the steam workshop for mods? 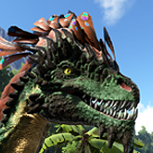 Your best bet would probably be to get the devkit and try to create a small mod that replaces the TLC spino with the old one (no idea how that works). I highly doubt that wildcard will do anything about it. I agree. I do not feel like I could trust wildcard on anything. The development of Atlas just feels like a slap in the face of ARK players, simply because you can clearly see the effects this has on the quality of the new dlc and Ark overall. It does not have anything to do with "being mean". Some people simply expect a fully prized game and paid DLC which they bought, to actually work and to be finished, instead of being released in an unfinished broken state. How is that a bad thing? I wonder if any of the staff will actually take time to read the comments, that would be appreciated. Well how about you actually spend some real time on Ark now? There are numerous issues with this game and yet it has been a full release for a long time. If the game is having constant lagspikes despite me using high end gaming hardware and the game is filled with bugs, there is definitely something broken with your game. As a customer of yours, I would very much appreciate it if you actually FIXED your fully priced game, instead of releasing buggy half-done DLC and a completely new game which probably will be a bugfest just like Ark. The way you developers have been handling your game the last few years, how can I possibly trust you? Will you actually take the time to respond to anything I have said? Hi there its been almost a month now and the issue still persists. Help would be much appreciated because I have no information on how to fix it.